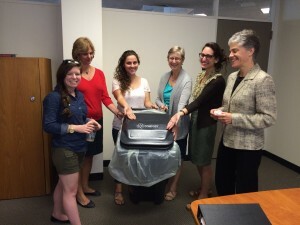 In 2014, the Hebrew Union College – Jewish Institute of Religion’s (HUC-JIR) New York campus rolled out their Gendler Grapevine Project: the Greening Initiative. The HUC-JIR Green Team worked over the summer to prepare the school for the physical as well as cultural changes necessary for successful implementation of the Greening Initiative. Modeling the program after neighboring New York University’s (NYU) sustainability program, the Green Team prepared the campus for this cultural change by implementing a new centralized waste system. Rethinking HUC-JIR’s waste processes is a central focus the Greening Initiative. Some simple steps they took include removing all trash cans from the classrooms and providing a central location for all waste. Other examples of how they are accomplishing this include switching to biodegradable products and establishing a relationship with an industrial composting company. 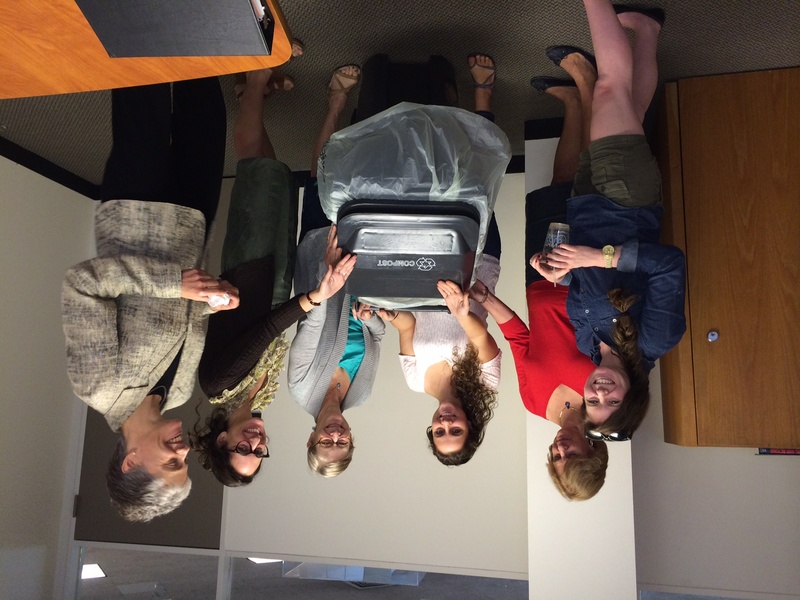 Through their new composting effort, combined with re-focused efforts on recycling, HUC-JIR is hoping to significantly reduce their waste in campus trash cans. The goal is to make the whole student body be mindful of how they discard their waste. 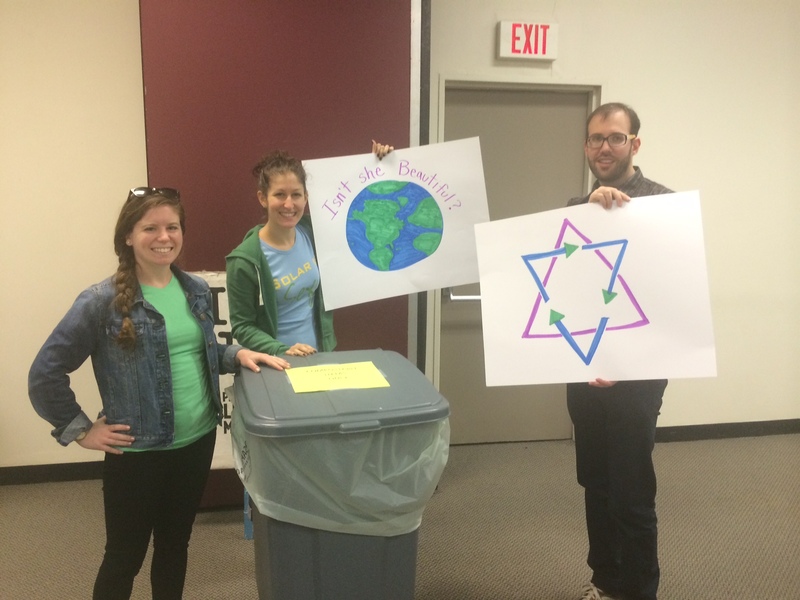 The Green Team is also developing an educational series titled, The Rabbi Everett Gendler Environmental Education Series, which will work to inspire change in thought and action on campus. The Green Team will host a series of talks to address various issues. The first talk, led by Rabbi Fred Scherlinder Dobb, was called “Eco-Judaism 101 for Jewish Professionals.” Other topics include teaching students about the new waste disposal system and lectures that will draw attention to and teach about the connections between Judaism and the environment.